Welcome to my Santa Barbara counseling services website, and my private practice. I've been providing therapy for 17 years. Learn here about how I work with clients, and how you and I can get started. I hope this site answers all of your questions about counseling, and gives you other helpful ideas. But first, I have a question for you. Have you seen a therapist before, or maybe you're brand new to the idea? 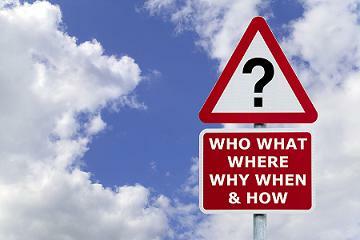 Either way, I take some (but not all...) of the mystery out of counseling. My name is Lisa Moore, I'm a licensed marriage family therapist, webmaster of this site, and devoted to helping clients benefit from counseling. What does it cost and how to pay for it. Common issues that bring folks to a therapist. How to tell if you have a mental health diagnosis. If you don't have a diagnosis, can you still get counseling? How to start and the first session. As you look through my Santa Barbara counseling services website, you'll find research on how well therapy works, medications (this is a hot topic), and descriptions of common diagnoses. I know it's tempting, but try not to diagnose your family and friends with mental health disorders. In fact, please don't diagnose yourself without seeing a professional. Why? Because some symptoms are shared with more than one diagnosis, or even indicate a medical issue. Criteria also have to be met regarding number of symptoms, severity, loss of functioning, and length of time, so it can get tricky. Interested in becoming my client? Common issues my clients bring are relationship problems, family problems, trouble managing food, drug or alcohol use, anger, loss, stress from life changes, parenting concerns, job stress, depression, anxiety, and questions about where life is headed. Multiple issues are often present, such as depression with anxiety and life situation problems. My goal is for us to work well together, and help you work through dilemmas and painful emotions. 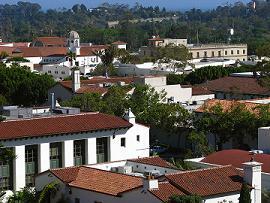 My office is located in a wonderful historic building in downtown Santa Barbara, with public parking across the street. Please take a look around the site. Let me know if you have questions. 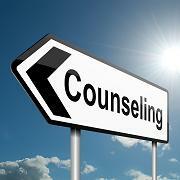 Wondering how much counseling costs and how to use insurance? Want a FREE 15-minute phone consultation? Santa Barbara counseling contact page for Lisa J. Moore, LMFT. I'm here to help. Counseling FAQs answered here! Want to know more about counseling? Marriage and Family Therapist, Lisa J Moore, LMFT, answers your questions. 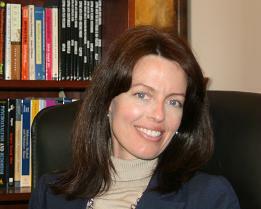 Lisa J. Moore, LMFT tells you all about counseling. Therapy sessions are 50 minutes for compelling psychological reasons. Counseling benefits and why you should go. Depression medication limitations and benefits discussed here. Santa Barbara therapist Lisa J. Moore, LMFT, cautions against relying too heavily on medical mental health diagnosis.